Sorcerer King: Rivals Expansion Releases this September! 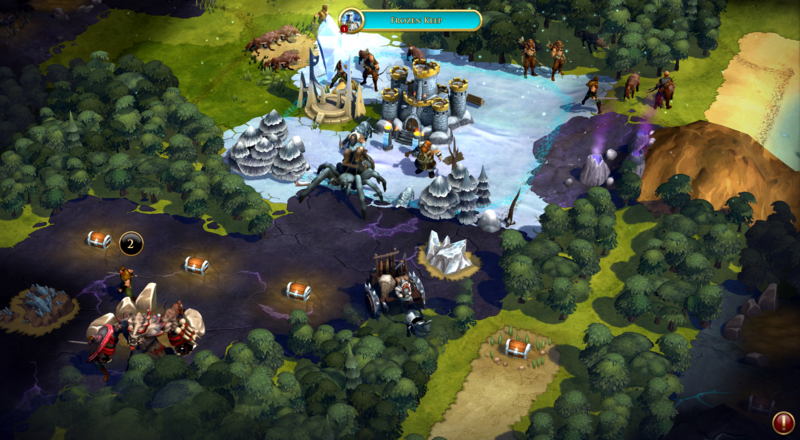 Stardock has revealed the stand-alone expansion for its fantasy 4X strategy game, Sorcerer King. Sorcerer King: Rivals flips the original game's premise on its head by giving the player the ability to become a god with your rivals trying to stop you through any means necessary. Rivals has two new playable races complete with new sovereigns, spells, units, and abilities. Three new lieutenants join the Sorcerer King's army, each with new and unique abilities to challenge you. A new quest editor and Steam Workshop support allows you to write your own epic quest lines and share them with other players around the world. 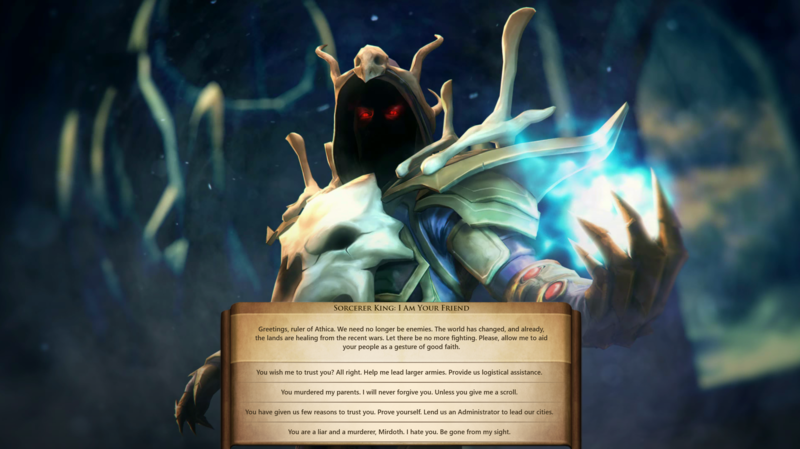 Learn the Ascension spell and consume the shards before the Sorcerer King gets to them first. Amass ascension points to become a god before the Sorcerer King casts his spell, and win the game. Turn the land into frozen mountainsides and enhance your warriors as Bazzal the Dwarven King, Sovereign of the Frozen Realm faction or collect bone fragments from vanquished foes and raise armies of the undead with Valemor the Archmage, Sovereign of the Necromancer faction. Three new lieutenants of the Sorcerer King wait to challenge you! Two lieutenants out of the list of five will appear randomly every game to oppose you. Face down against the Shadow Dragon Nabunihr, test your might against the Crystal Serpent Abeix, or train your bows on the great bird, Corvos, Bringer of Storms. Experience brand new adventure by embarking on never-before-seen quest lines! Enjoy the witty writing and light humor in the face of the world's destruction as you gather unique ingredients and recipes to craft better weapons and armor for your army. Become the author of your own adventures with this user-friendly quest editor! Write the quest text, craft your decisions, and decide on the rewards. Your quest will automatically become part of the game when saved. Tightly integrated workshop support lets you easily share your creations with the rest of the world! Download maps and quests created by others and explore all of the new possibilities for adventure. 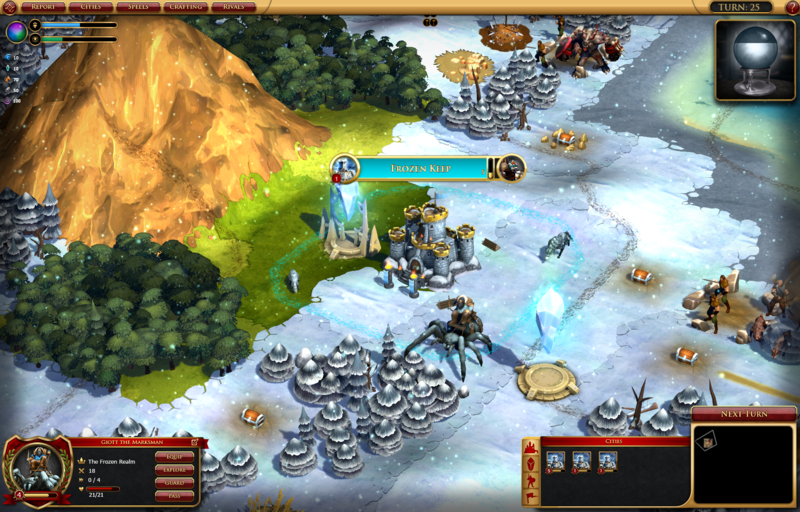 In Sorcerer King: Rivals you will be faced with new challenges of moral and heoric proportions. Will you save the world - or will you aid in its destruction? Sorcerer King: Rivals will be available for pre-order on August 25th. or $14.99 for existing Sorcerer King owners. You mean there is another option than utter world destruction? The world is doomed, doomed i say. But, by my hand, not by that sissy the so called sorcerer king. Does preordering give you immediate access to it? This will be just a pre-order for release. Honestly, what's the point? Will you run out of digital copies? If it gave me immediate beta access? Yeah, then I'd buy it. About time! I thought this was a lost cause. 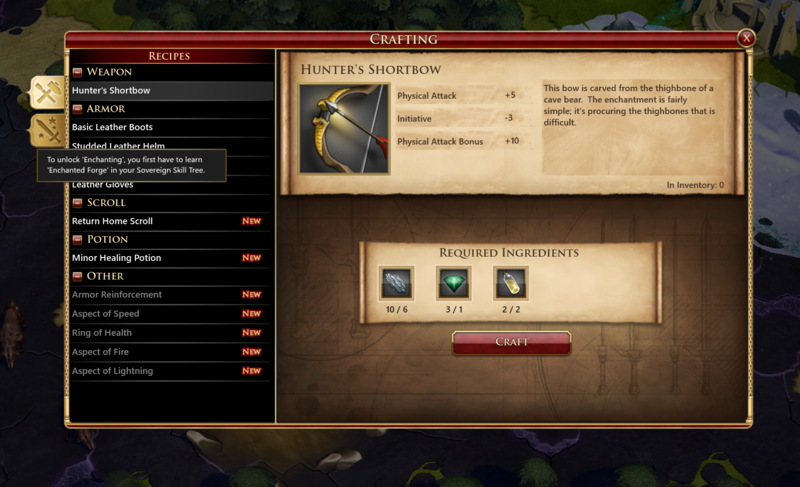 Are there going to be additions to the crafting system? New resources and items?? Finally! I can achieve godhood and destroy the Sorcerer King that way. Okay, it's September already. Where's my game? Seriously, though, can we get the release date narrowed down a bit? Careful what you wish for. It's here already! 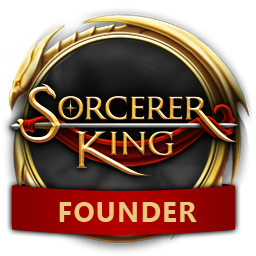 Weird - earlier I had a "Sorcerer King Founder" icon under my name. It probably didn't belong, though. And now it isn't. I had enough time to install it, ran it briefly to set some options, closed it to restart so new video settings would take effect, and the play button vanished from Steam. I also can't run it from the directory. Weird. Bummer. I went to bed just after it 'released' thinking I would install it today and play after work. Any comments from devs on this? The game hasn't been released yet. I'm assuming that was a glitch as there were some issues with Steam yesterday. Thanks for clarifying. Now we only need a release date. Well, Brad said probably the 15th during the live stream today. Not exactly an official date, but hey, it's something! That works, so long as we know. I am still sad because I only had the briefest of tastes before it was taken from me. Wait, what? Did it accidentally get released for a tiny bit? Yes, yesterday. I had the install button and then the play button, but after I started the game, changed some graphics options and exited, the play button was gone and Steam insists it's not installed. I just hope I don't have to redownload everything on the 15th, because my high speed internet is slow. Damn, so close to playing! 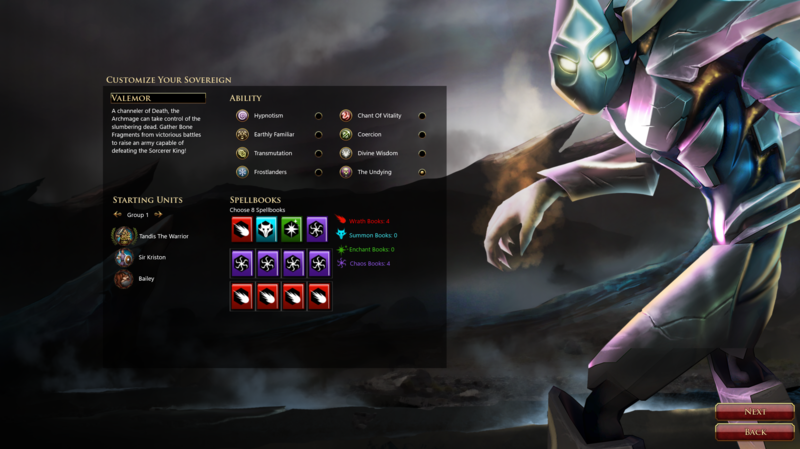 Hmm, I have the GOG version of SK. How can I get this for reduced pricing on GOG? Is it possible? Hold on, there are Dwarves in there? Now you're talking! Edit: Preordered. Because talk is cheap. The offer was pretty much a steal at any rate. Is the game still launching today? Not seeing any mention of it anywhere? edit: And Hey! What happened to my Founder icon?